We love what we do and that is the key to creating a stunning wedding event. We pride ourselves for our fair play. No hidden fees. No extra charges. Ever. We provide bespoke, personal and professional service to our clients. 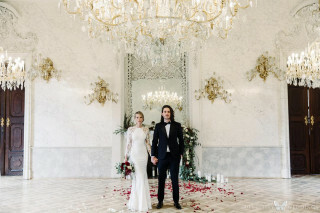 Butterfly Weddings is a boutique wedding planner company based in Prague, Czech republic dedicated to creating unforgettable, styled and stunning weddings. We love what we do and we are passionate about it. We have over 5 years of experience in the wedding market and we are proud to have established relationships with the best vendors in the industry. We can manage different types of cuisine for your reception, various venues for the ceremony, vendors of different styles and other services. We do destination weddings in Prague and in the whole Czech Republic for our international clients as well as weddings for our local clients. Read more about us and our philosophy here. Are you hesitating if we would be a good fit for you and your wedding? 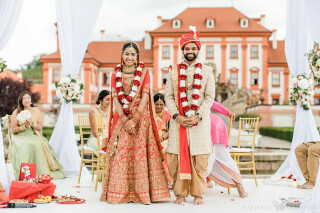 Then have a look at a video and read a testimonial of one of our bride and groom below. You can find more testimonials over here. "Eva is wonderful, her way of working is unique and exceeds all expectations. First I found Eva on google and sent her an email and a message via whatsapp. She answered to both immediately telling me everything I needed to know. Ever since she was truly available, easy and fast to talk to even though we were in different time zones. I also noticed what Eva wrote about fair play at her website. Most people don`t mention it because it should be obvious but for real many times it is not. I found it very interesting that Eva addressed the matter directly and this way was transparent from the very beginning. Her website was actually the only one where I read about fair play while looking for wedding suppliers. I liked so much what Eva wrote, what her brides wrote about her and how she replied to my first messages that I didn`t bother to send messages to any other wedding planners even though I am the kind of person that usually does a lot of research before making a choice. I had a deep feeling that I had found the right person at first and in two days we had a signed contract." Read rest of the words from Caroline and Álisson.